A Best-Selling Book deserves to be noticed! Have fun with the buzz and get some perks while you're at it. "Your writing style is so engaging, so amazing, so real, so inspiring. I cannot wait to read your book!" "I could not put this story down! Write some MORE!" let Him carry her through just about everything life can throw at a person. His loving care above that of all other suitors. lead the way through to our much-desired breakthroughs. 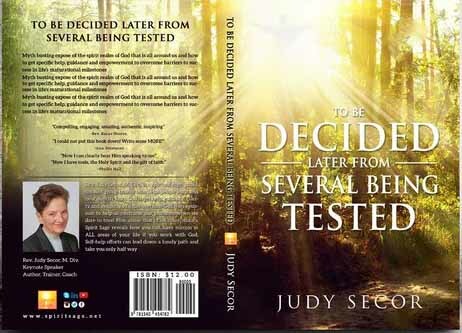 My book reveals exactly how I connected with God’s specific guidance and help, to overcome them all. on many levels, to accomplish worthy goals. 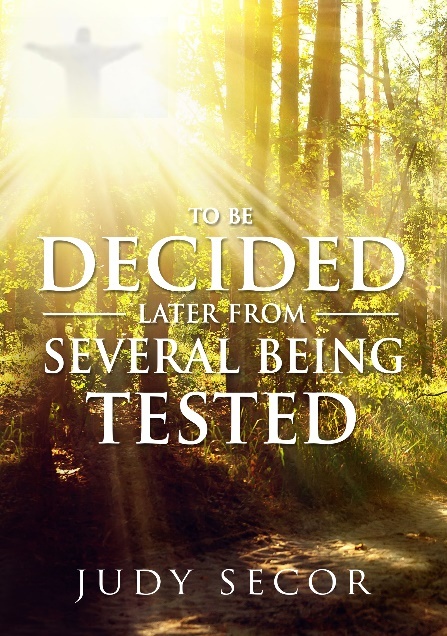 I share my failures, and my raging rants at God, only to find that He is not put off in the least! us trust His will, words and ways so He can work with and for us. being in the center of God’s will. It’s the safest place on earth. And it’s empowering to relax completely in His strong, wise, tender care. a deep, complete peace that brings joy in your journey towards spiritual maturity. her blog, Facebook public page: facebook.com/spiritsagejudysecor or other social media pages. Her assistant will manage those pages and requests. The e-Book will cost 99 cents only during launch week, which should be in the Fall of 2017.
for helping promote time sensitive sales of the book. Deadlines are final. No exceptions. to buy her discounted book during its launch week only, will get a free signed copy for themselves. when they pay the discounted launch week price. Be sure we have your shipping address for your free signed copy to be mailed to you. You may have to pay tax, and shipping costs. Be sure we have your current email for that. could be an alternate way to get her signed copy. But it will not be at the launch week price. The PRE-purchase and BULK Order Forms are coming later to a secure page for that. all these offers is to reward you for helping me make it a best seller. available for all, especially during launch week. Best selling books get read, and that's the goal. Copyright © Spirit Sage. All Rights Reserved.